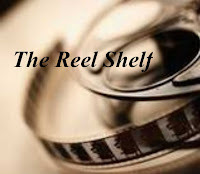 Manga Mondays is a meme hosted by Alison at Alison Can Read where bloggers can share their passion for reading mangas. It's a great place to get new manga titles to try and to meet new bloggers. There are only one more volume left in this series! Description: Tsukasa makes two shocking announcements! One of them is to the public and one is for Tsukushi's ears only. The couple spend some time together and visit some familiar faces not seen in a while. 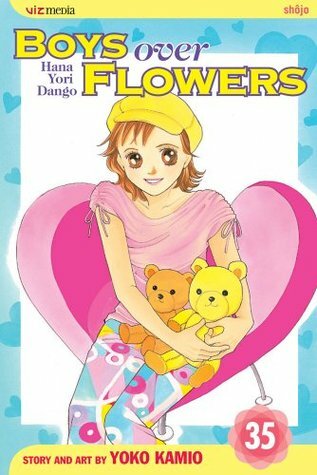 This second-to-last volume of Boys Over Flowers is guaranteed to please as we head toward the final climactic volume! Review: Graduation time has come for the F4 and each of them must has to make a decision of what they want to do after high school. Tsukasa makes two very big decisions, one professionally and one personally, that will change his life forever. On his own, Tsukasa decides that he will work for his family company and be the responsible son. This choice is a clear indication of how much Tsukasa has matured in this series. I was surprised by this move as I have watched Tsukasa spend countless amount of hours avoiding any type of responsibility and spent money recklessly. His other decision didn't surprise me as much as he pops the question of marriage to Tsukushi. Tsukushi is shocked and still has her whole life ahead of her. She will still be in high school as she is two years younger than Tsukasa. I'm curious to see what choice Tsukushi makes in the final volume of Boys over Flowers. Words of Caution: There is some language and some crude humor. Recommended for teens and up. Almost to the final volume? Well, it looks like there was growth in this edition and so I hope for more in the next.